Product categories of Low Storage Soft Bed, we are specialized manufacturers from China, Low Storage Soft Bed, Double Soft Bed suppliers/factory, wholesale high-quality products of Soft Single Beds R & D and manufacturing, we have the perfect after-sales service and technical support. Look forward to your cooperation! 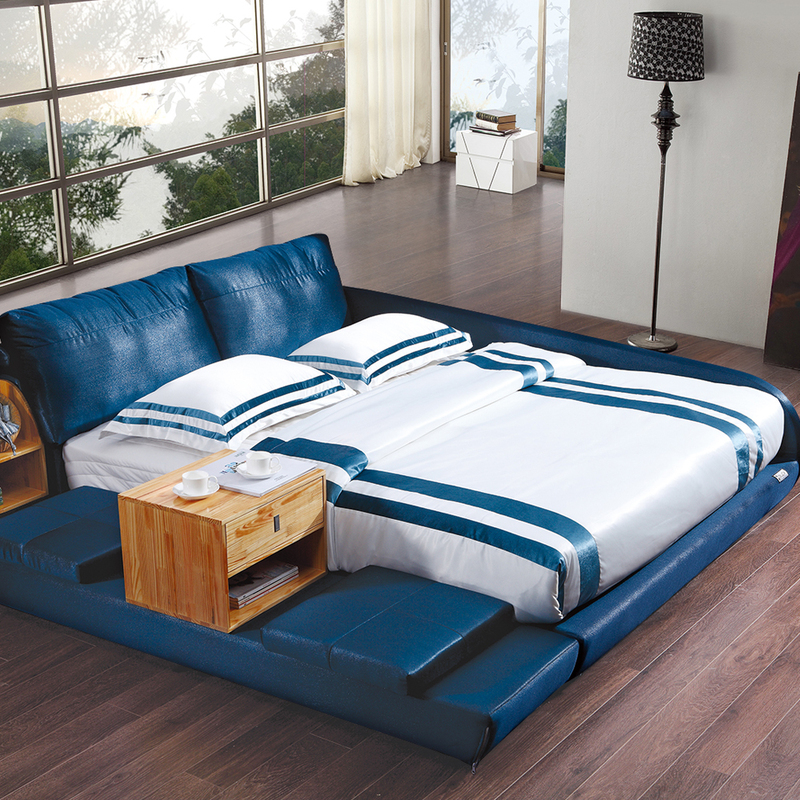 Low Storage Bed side Soft Bed: this kind of beds is 20--50 cm higher than the normal beds, it is possible to be padded with a thin Innerspring Mattress or a Coconut Fiber Coir Mattress. Inside the bed, there is a deep box. You can greatly save space by putting many things into it. On top of this, the internal was made of solid and high quality wood to ensure the durability and quality. It is strong, comfortable, of good quality and various styles that can choose from. Most of them are cleverly designed with built-in boxes for storage, they provide extra space to keep stuff tidy and spare off more space for room. A high quality mattress will surely give you a better quality of sleeping.